Logitech HD Webcam C310 is one of the best rated entry-level webcam. It has been praised by many reviewers and received great user reviews on sites like Amazon, Flipkart etc. Logitech C310 is a feature-rich webcam with 720P video calling and 5 MP still photo capability. It comes loaded with Logitech goodies like Fluid Crystal Technology, Motion detection, Face detection, Noise reduction and many other technology. The Logitech HD Webcam C310 is priced under $50. There are not many other webcams with similar features and performance in the same price range. I’ve recently purchased this webcam for video calling. In this review I’m going to find out whether it is a good webcam or an overrated product. Also read: How to use Android mobile phone as webcam for computer. Design and build quality: Logitech C310 looks good and has solid build quality. It features fixed focus plastic lens unlike the high-end Logitech C910 which uses Carl Zeiss optics. But for this price you can’t complain about it. The webcam can be used on both laptop and desktop monitors (LCD/CRT). Logitech C310 fits nicely on desktop monitors using the universal clip. But on laptops it doesn’t fit well, it is a little bit loose. I wish it had some better stand. You can move the webcam up and down but there is no way to rotate it left or right. This can be a deal breaker for some users. Driver and Software: Logitech C310 comes with driver and additional software on a separate CD. The webcam works on both 32-bit and 64-bit editions of Windows Vista, 7 and 8. Logitech C310 is not officially Mac compatible. However, there is a workaround; according to some users it works on Mac with some other Logitech webcam’s Mac compatible drivers. I was unable to install the webcam driver software as I was running Windows 8 on my computer. So I had to download Windows 8 compatible software from the Logitech website. Unfortunately, there are some limitations on Windows 8. Not all Logitech software currently works on the latest operating system. For example, the Logitech Video Effects will not work. This is really disappointing. Logitech has developed separate software with Modern UI layout called ‘Logitech Camera Controller’. It is available on Windows Store. Using the Logitech Webcam Software you can take photos or record HD videos. The interface is basic and easy to use. Due to the limited availability of Logitech software I decided to install CyberLink YouCam 5. It works well with the webcam and all cool video effects works great. These video effects can be used during video calling. Photos and videos can also be captured using YouCam 5. Most of the drawbacks of Logitech software can be solved using CyberLink YouCam 5. 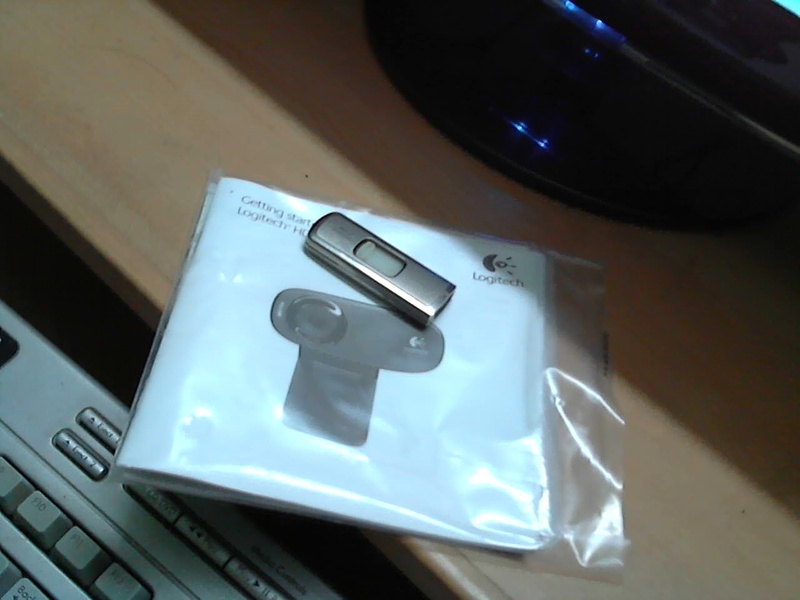 Still photo and video quality: Logitech C310 is a highly rated webcam so my expectation was high. On paper 5MP still photo and 720P video recording look really nice. But when I plugged the webcam into my computer and turned on the Logitech software I was little bit disappointed. It doesn’t live up to the expectation. Logitech HD Webcam C310 can capture photos in different resolutions. Its native still photo resolution is 1.3 MP. It can capture 5MP photos using software enhancement. As a result the quality will be poor. I’ll recommend selecting 1.3 MP resolution to get the best result. Most of the time still photos contain noise and lacks sharpness. The Logitech Right light technology helps to improve low light performance but still I’ve noticed some noise. Photos can be captured in widescreen resolution. However the field of view reduces when I switched to widescreen mode. Logitech C310 can shoot 720p videos which look nice and smooth. In low light I’ve noticed some noise in the video. But if you have enough light then quality is good for a webcam. Logitech C310 works perfectly with all popular video calling services like Skype, Google Talk, Yahoo Messenger etc. To experience 720P HD video calling you need to have a fast (1 Mbps+) internet connection and your computer should have at least Intel Core 2 Duo 2.4Ghz+ processor with 2GB RAM. Logitech HD Webcam C310 has built-in microphone with noise cancelling technology. So you don’t need to buy additional microphones. Verdict: Logitech C310 is a decent webcam for this price. If you are looking for a webcam with HD video capability under $30 or $50 then look no further. Logitech C310 offers great features and value for money. It has good build quality, decent picture and video quality and works on all popular IM services. Logitech website has listed this webcam for $49.99 but you can easily buy it for around $30. For the beginners like parents whose children are living in abroad. They normally used Skype for video calling and this will be perfect only to get at the best price. $30 is nothing. Plaban, DId you test with slow internet connection too? Hi Suresh, the webcam works fine with slow internet connection. HD video calling will not work, the maximum resolution will be VGA (640×480) .